When it comes to Valentine’s Day gifts, edible treats are always a good bet. After all, few of us can say no to sweets right? And as if candy isn’t irresistible enough on its own, it’s even more tempting when it arrives prettily packaged and complete with cute gift tag. Best of all, once your Valentine has emptied the jar, they can re-use it to store whatever they fancy. Win! 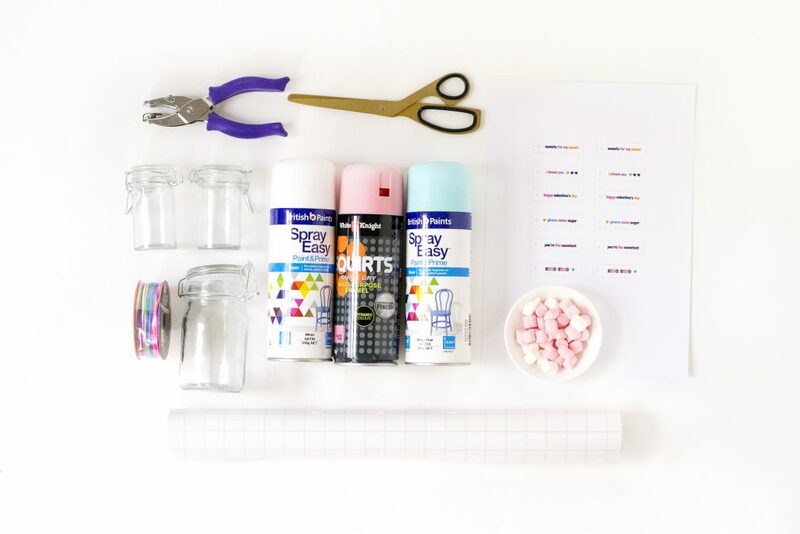 Grab a few glass mason jars and see how easy it is to make up parcels of treats that’ll be sure to impress your friends, partner or anyone you know who has a sweet tooth. 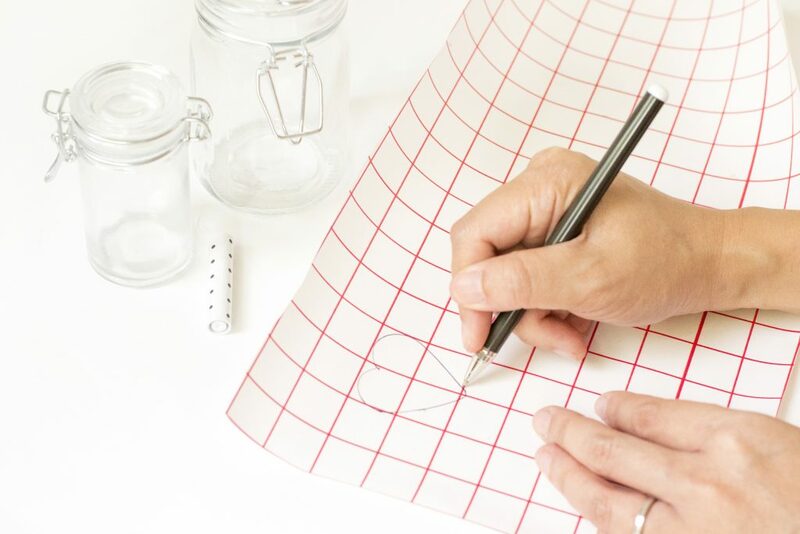 Lay a piece of contact paper face down and hand draw or trace a heart onto the backing paper. Cut out the heart with a pair of scissors. 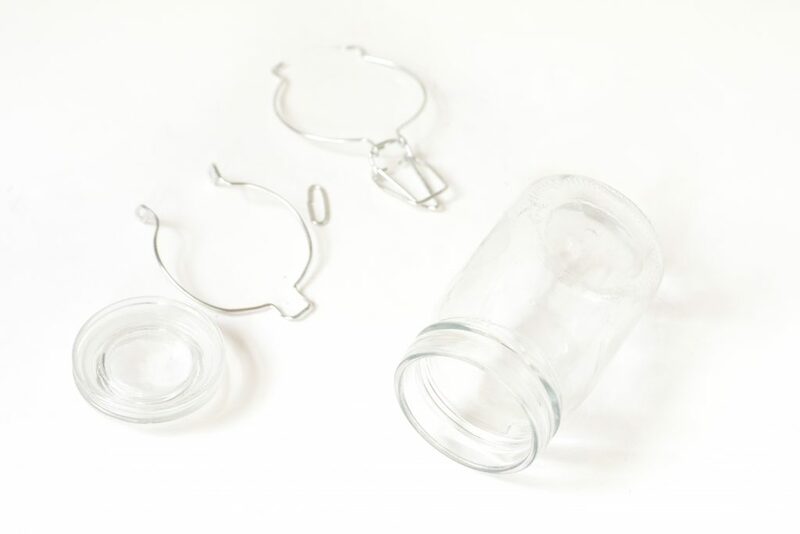 Make sure your clip top round jars are washed and free of dirt and dust. 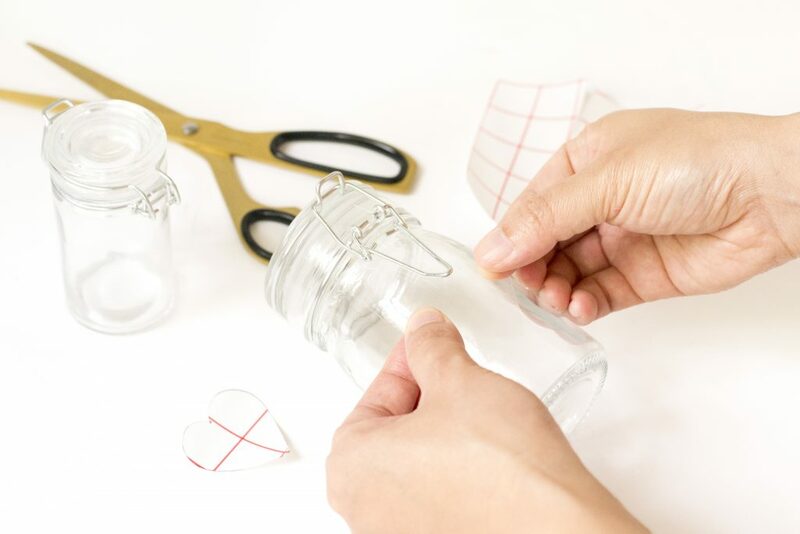 Peel the backing paper off the heart you cut out in Step 2 and stick it to the front of your jar. Separate the different components of your jar. This could just mean removing the lid from the base, but in my case it meant removing the metal fixings that held the lid and jar together. 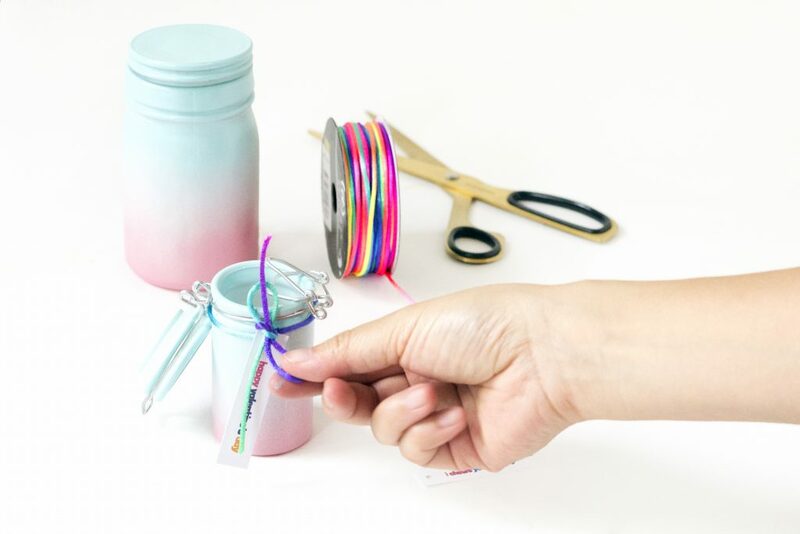 Cover the inside of the jar as best you can with tape so no paint gets on the inside (masking tape works well if you have it). 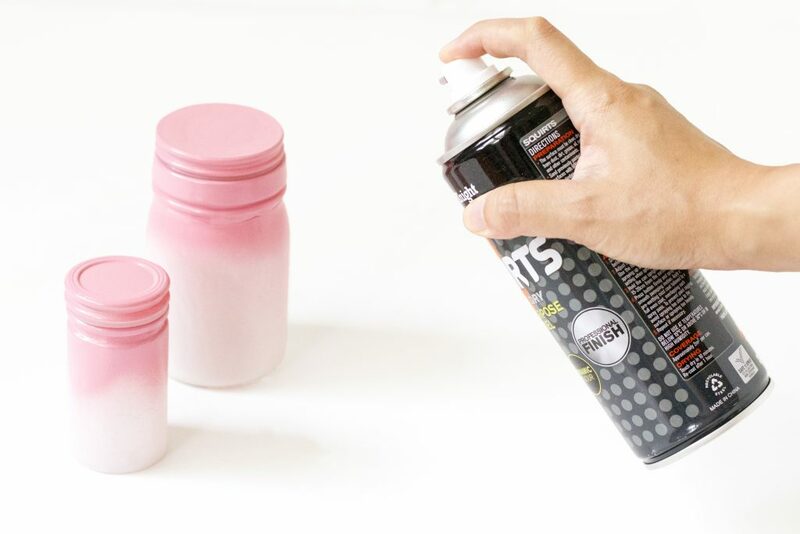 Then spray paint the jar and lid white. 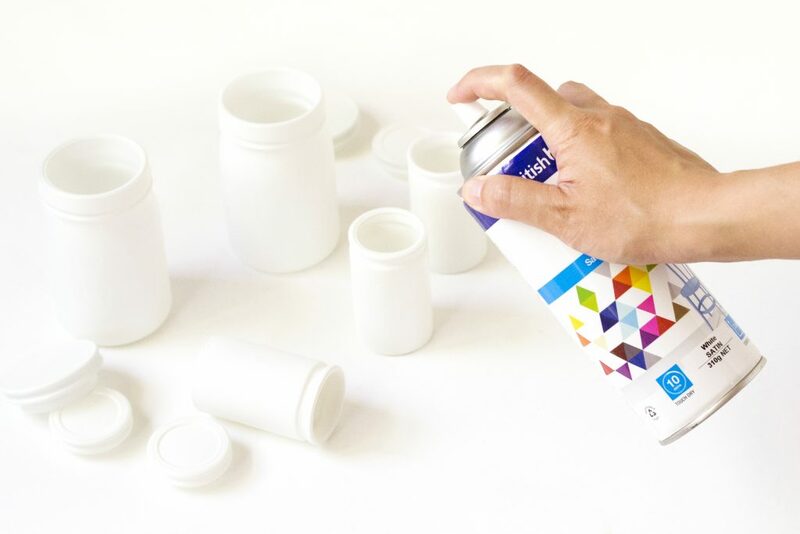 Once the white spray paint has completely dried, start spraying one of your colours on. 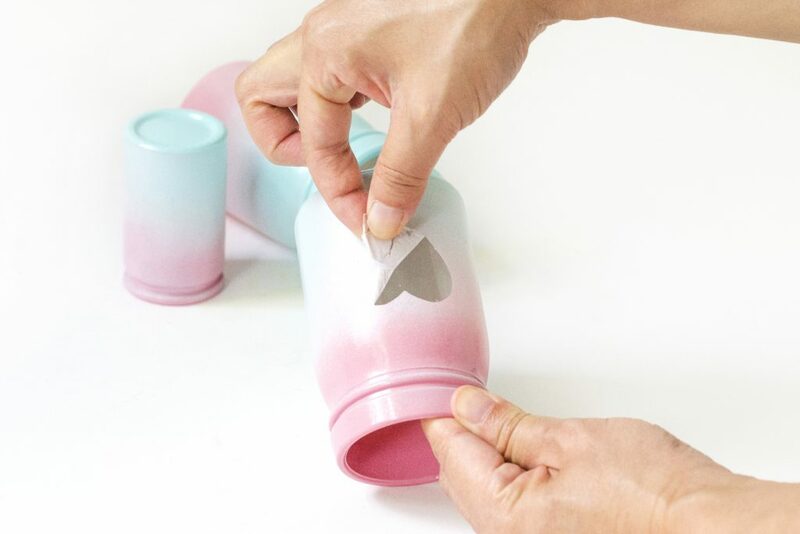 The trick to getting a gradient look is to start from the top of the jar and gradually work your way downwards. Try to spray from further away so that the colour is applied as a light mist rather than a heavy coat. Stop spraying your first colour once you’ve done roughly half of your jar. 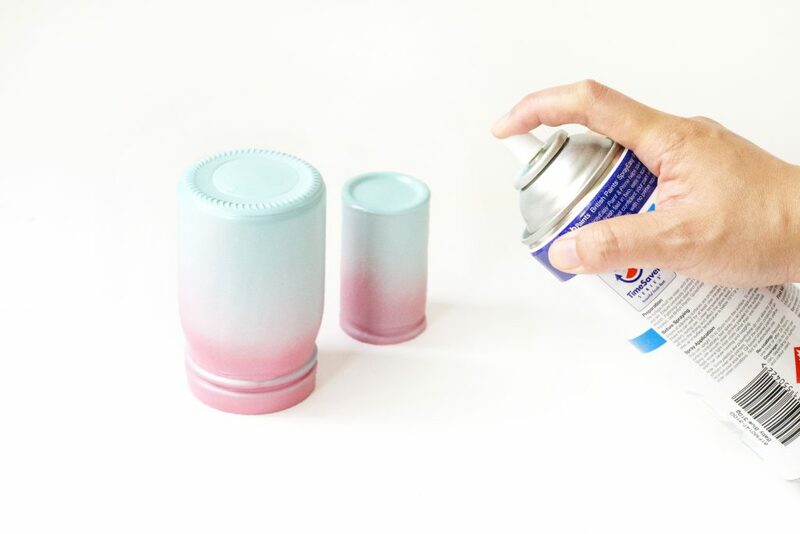 Flip your jars over so they’re upside down and apply your second colour. Again, stop spraying once you’ve painted around half of the jar. 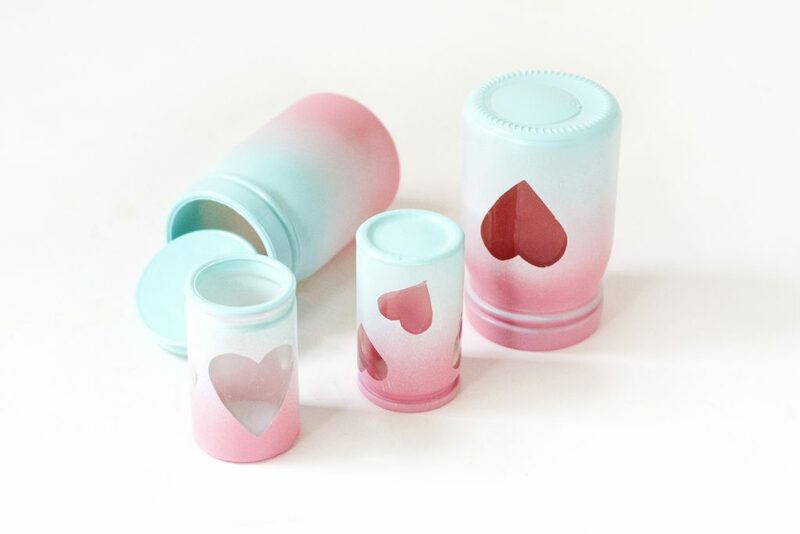 Once your paint has fully dried, carefully peel away the contact heart. You may need a scalpel to help you peel the edge off the glass initially, but after that it should come away easily. Download the printable Valentine gift tags here and print them onto white card. 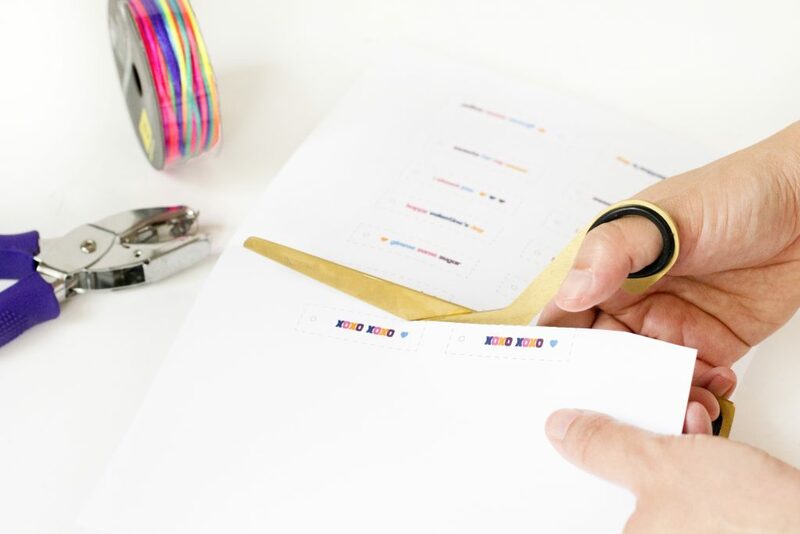 Cut out each tag using the dashed lines as a guide and punch a hole where indicated. 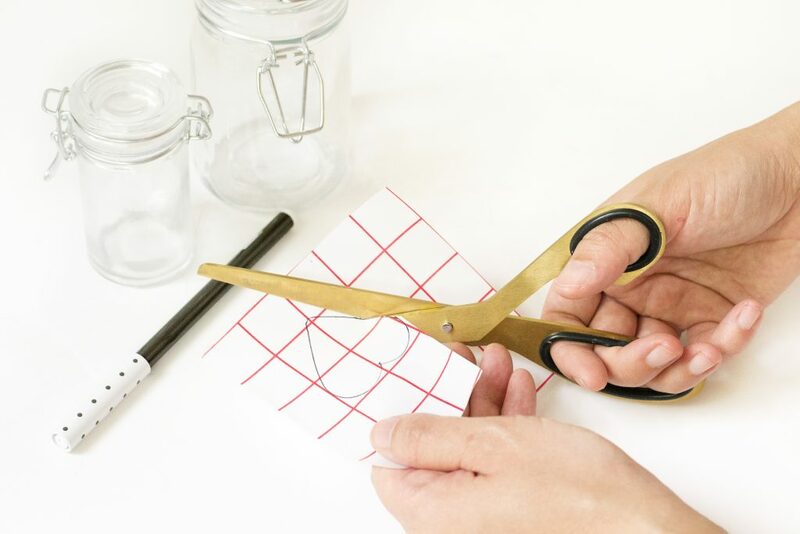 Use ribbon, cord or twine to tie the tag to your jar. 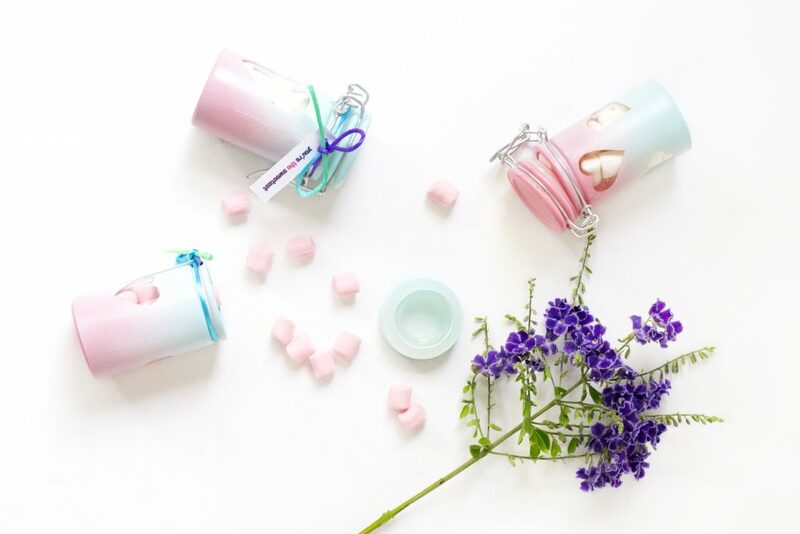 Then fill the jar with candy and you’ve got yourself some sweet Valentine’s Day gifts to hand out to your partner and friends!